Come with us on a journey to explore America as it is seen by average Americans. 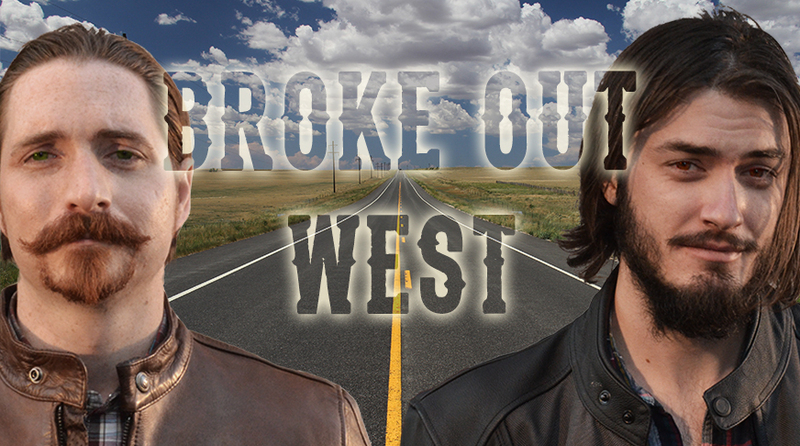 Hosted by two fetching well-educated young men on motorcycles, we will take you on a journey from coast to coast to explore how The Great Recession has affected change in American industry, culture and philosophy. The production challenges these two gentlemen rogues face include making it from the east to west coast on a limited budget, while taking in as many of the sights, sounds and experiences this country has to offer. Anything else would result in being Broke Out West. Broke Out West is speaking to an audience dubbed as the “The Poorgeoisie” which consists of well-educated but underemployed individuals with champagne tastes on a beer budget. We are hoping the pessimism surrounding the generation of recent college graduates will dissipate by revealing the struggle to find work. Americans view challenges as opportunities. The spirit of optimism adventure and hope are very much alive in the country. Americans still yearn for journey, adventure, and the call to the West is an iconic American rite of passage. We are seeking interviews with people and businesses that not only survived The Great Recession, but thrived and evolved. These stories of struggle and hardship will be told from the perspective that we all need to innovate and adapt.